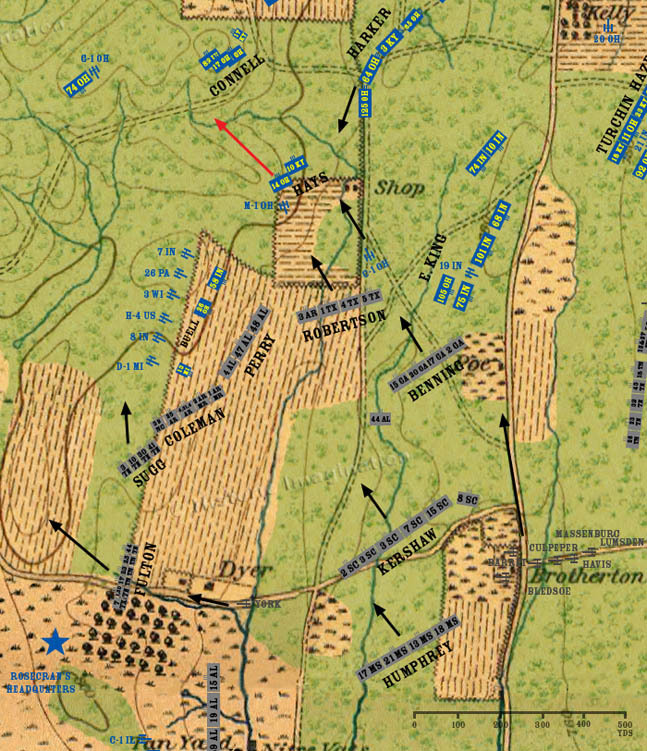 Fulton’s brigade continues west along the Dyer Road while Coleman and Perry’s brigades stall out in Dyer Field under the Union cannonade. Sugg’s brigade gains the crest of the ridge to the south and swings north. Robertson’s Texas Brigade closes in on the knoll to the north. Benning’s Brigade passes to the right of Colonel Edward King’s brigade in it’s pursuit of Hays. The Reserve Artillery moves north toward the Poe house.